Some friends and I were enjoying a Saturday boat outing on Shell Key. Everything was going well… until that “moment.” We were getting ready to head back and the boat driver asked “Hey Matt, can you hop out and grab that anchor?” I immediately jumped off the boat, grabbed the anchor and swam to the back of the boat to get back on board. I was standing on the swim platform and spun to the left to grab the other anchor. That’s when the “moment,” happened. I saw my wedding band slide off my finger and into the ocean below. I immediately yelled “Shut off the engine,” and jumped into the water frantically diving below to search for my ring. 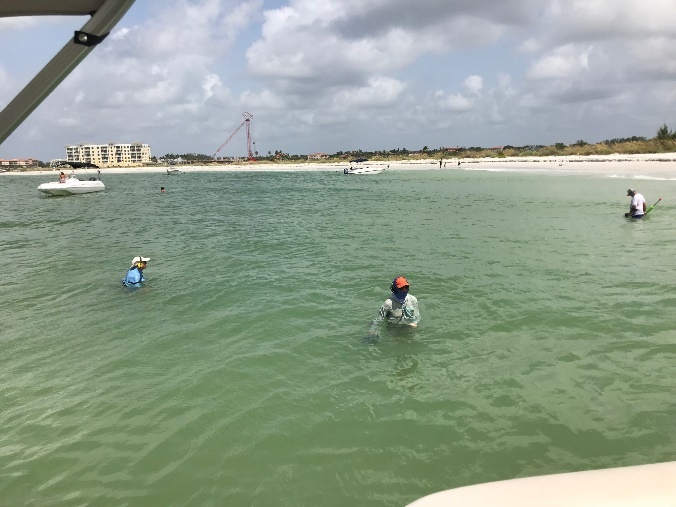 After about an hour of searching, I returned to the boat and called 5 local dive shops to see if they could send out a diver to search for the ring. They were all skeptical with the typical response being “There’s no way we’re going to find it, I’m sure the currents would have taken the ring, it could be hundreds of feet from where you originally dropped it.” I started to lose hope and could not stop dwelling on the thought that one of the most meaningful items I would ever own would be lost forever. I didn’t give up and continued to call local dive shops. After a few more calls and no luck I started googling looking for help. That’s when I stumbled across The Ring Finders website which led me to reach out to the Suncoast Research and Recovery Club. I initially reached out to Howard who took my call while he was meeting with a client. I explained the situation to him and he reached out to the club to find some volunteers to help recover the ring. Later in the evening I received a call from Joe, who helped plan the hunt. We decided to meet at Tierra Verde marina on Sunday at 3PM so that they could search during low tide. Sunday came around and 3 hunters showed up, Joe, Tom and Ed. Slowly, the remorse and feelings of despair turned to hope as there were 3 hunters with over 40 years of collective experience helping to find my ring. They searched for about an hour and a half with no luck. Ed started following me as I was in the water searching with my feet. 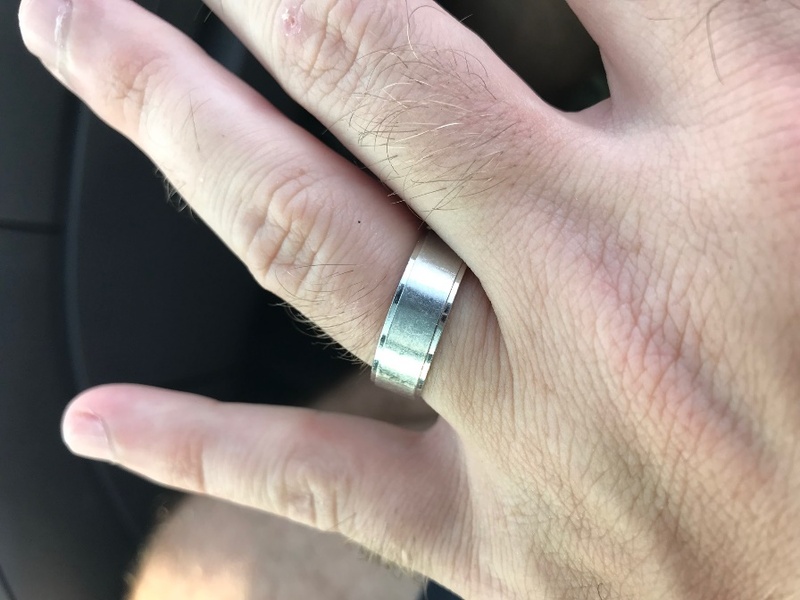 After about another half hour, Ed looked up and said “I’m not sure if this yours, but I found one.” I raced over to him and looked at the ring. To my amazement he had found it. The feeling in that moment is hard to describe, but I can tell you it was one of the best moments of my life. I will forever be thankful to the SRARC, Ed, Tom, Joe and Howard. The entire experience of dealing with them was amazing and these guys are some of the most altruistic people I have ever met.